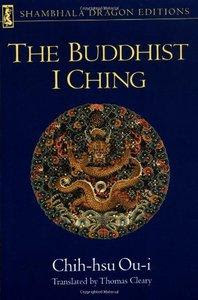 This book is a reading of the classic I Ching by the noted Chinese Buddhist Chih-hsu Ou-i (1599-1655), an outstanding author of the late Ming dynasty whose work influenced the development of modern Buddhism in China. Ou-i uses the I Ching to elucidate issues in social, psychological, and spiritual development. The I Ching is the most ancient Chinese book of wisdom, widely considered a basic guide for conscious living. While it has been extensively expounded by the traditional sociologists and psychologists of the Confucian and Taoist schools, the written records of Chinese Buddhism are nearly silent on the I Ching. Of course, several key phrases and signs were adopted into the commentaries of the Ch'an (Zen), Hua-yen, and other Buddhist schools, but no extensive explanation of the I Ching seems to have been written by a Buddhist until Chih-hsu Ou-i composed the present work in the seventeenth century.